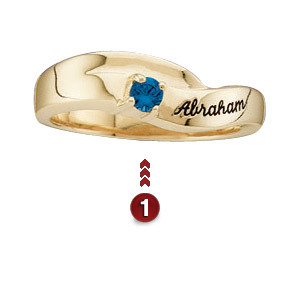 Decorate this ring with birthstones mom was born to love. This ring represents the bond between mother and her children. Choose one to four names and corresponding birthstones. Prong set gemstones measure 3.0mm in diameter. Engrave up to 8 characters per name. Choose from 10K or 14K yellow or white gold.